The troubled economy has caused hard working people to face crippling debt. We also understand that the added pressure of having to deal with the legal process can be both overwhelming and intimidating. Fortunately, federal law provides the Rai Law Firm with bankruptcy tools to help clients handle untenable debt and bring to an end those forceful and unruly debt collection efforts by creditors and obtain a fresh financial start.Types of Bankruptcy: There are different types or chapters of bankruptcy, and only a qualified bankruptcy attorney can advise you about your rights under Chapter 7, Chapter 11, or Chapter 13 of the Bankruptcy Code. Chapter 7: Chapter 7 is designed for individuals experiencing financial difficulty and do not have the ability to pay their existing debts. 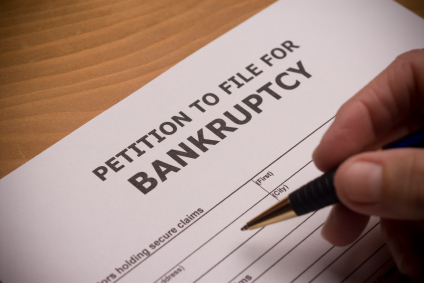 The firm's goal in a Chapter 7 bankruptcy is to obtain a discharge of all debt. The benefit of filing Chapter 7 bankruptcy is that it allows clients to eliminate their debt completely and there is no future liability. Most people that file Chapter 7 bankruptcy can keep all their property. Chapter 11: Under this chapter, the Bankruptcy Code permits reorganization. Under Chapter 11 bankruptcy, a company is protected from creditors while it restructures its business. Chapter 13: This chapter allows individuals to undergo a financial reorganization, that is, create a repayment plan where an individual pays back a portion of their debt over 3 or 5 year period. The only way to be sure that bankruptcy is right for you is to discuss your situation with an experienced attorney, as every case and client is different. As such, please feel free to contact our office for a free consultation and we can discuss all your bankruptcy options with you.